The statue is billed by campaigners David and Sue Stopps as the ‘centerpiece of of rebranding Aylesbury as a music town’ and is expected to generate £2million in tourism revenue every year. It will be created by renowned sculptor Andrew Sinclair. The crowdfunding campaign officially ends at 11.30am tomorrow, and supporters are being asked to still pledge funds if they can to ensure that the target is maintained. Aylesbury Friars Club founder David Stopps, who speerheaded the campaign with his wife Sue, said: “And so many people thought that it would never happen! I can’t tell you what we have been through for the past 40 days, there were times of utter despair when we thought it was never going to work out. “But deep down I always knew that it would pull through.” David Bowie chose Aylesbury to debut his legendary Hunky Dory and Ziggy Stardust albums at the town’s Friars club. Bowie’s world debuts of Hunky Dory & Ziggy Stardust were at Friars Aylesbury. We are creating a stunning statue in the Market Square. David Bowie had a very special connection with Friars Aylesbury. 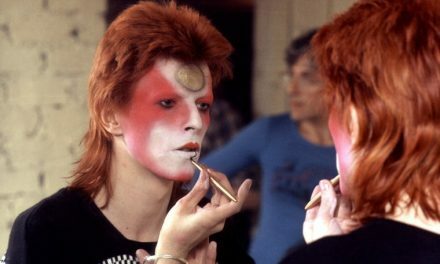 We are going to celebrate that connection by creating a stunning statue of David in Aylesbury Market Square, the same Market Square he referenced in the first line of ‘Five Years’, the opening track of one of the most iconic albums of the 20th Century, The Rise and Fall of Ziggy Stardust & The Spiders from Mars. The sculptor will be Andrew Sinclair, one of the best in the world. We need you to participate in this Kickstarter campaign to help us make this happen. Why Aylesbury? Bowie played an experimental gig at the Friars club in Aylesbury in September 1971 to see if he could cut it playing live. We were aware of his ‘The Man Who Sold the World’ album and the ‘Space Oddity’ single which had been a hit two years before. He needn’t have worried. Not only did he go down a storm that night, but he gave us the world debut of ‘Hunky Dory’ which at that time had not been released. After the gig, in the Friars dressing room, he said to Woody Woodmansey, Mick Ronson and Trevor Bolder “This was great tonight. Let’s form a band and go out and do it properly.” Four months later he played Friars Aylesbury for the second time. In the interim period ‘Hunky Dory’ had been released and immediately went to No 1 in the local Aylesbury album chart. So on 29 January 1972 we were very excited about seeing him play Hunky Dory. He did play a few songs from that album but the majority of the set was a completely stunning new suite of songs which turned out to be the Ziggy Stardust album. So, Aylesbury was the place that one of the greatest stars of the modern era chose to perform the world debut of both ‘Hunky Dory’ and ‘Ziggy Stardust’. There were two more Friars Bowie gigs that year. The first was at Friars Dunstable on 21 June, and then back in Aylesbury for the infamous 15 July gig. By this time the Ziggy character had been fully developed. For the July Aylesbury gig Bowie flew in 50 of the top US music journalists just for the Aylesbury show. This resulted in reviews in Rolling Stone, New York Times, Chicago Tribune, LA Times and Andy Warhol’s Interview magazine amongst many others. This put Friars and Aylesbury firmly on the world music map. Fast forward to March 1977. Bowie was back in Aylesbury, this time as keyboard player with Iggy Pop. The Friars date was the opening night of Iggy’s Idiot tour. It was the only Friars gig where the audience were unsymmetrical. The audience were all over to the right of the venue, where Bowie was playing. Earlier that day Friars promoter David Stopps was walking up from the venue into the Market Square. Under the arches at the bottom of the Square two people were walking towards him. One was wearing a white silk scarf. It was the Thin White Duke. It was David Bowie. Bowie greeted David Stopps with “What’s a clean cut kid like you still doing in a small town like this?” The site of the statue will be at exactly the spot where that meeting took place. Flowers and dedications at the site where the statue will be positioned. A petition immediately started with physical signatures that day as well as online signatures via change.org. Very quickly we had over 2000 signatures. We then had a series of meetings with all three Aylesbury Councils to get permission to site the statue under the arches. Aylesbury Town Council was the first to give official support for the statue followed by Aylesbury Vale District Council and Buckinghamshire County Council. That process took 6 months and whilst we now have full permission and support it was made clear from the start that none of the money for the statue would come from council tax payers. 1. It can be beautifully lit, because it is under the arches. 2. We intend to place a webcam high under the arches so that the statue can be viewed 24/7 from anywhere in the world. 3. We intend to place high quality directional speakers above the statue. 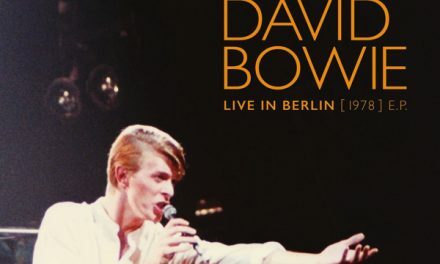 A Bowie track will be played at random on the hour, every hour between the hours of, say, 8.00am and 10.00pm every day. As far as we know this will be the first audio enhanced statue anywhere in the world. 4. We have a Bowie mask taken from his actual face during the filming of ‘The Man who Fell to Earth’ so the statue’s face will be a perfect likeness. Sculptor Andrew Sinclair with the mask taken from Bowie’s face during the filming of ‘The Man who Fell to Earth’. Kickstarter have limited our rewards to £6000 but we are adding two higher tiers. The first will be at £15,000 and will include a bronze maquette made in the foundary of the Ziggy figure in the statue. The second will be at £40,000 and will include a maquette of the full statue which will be a serious investment for the future. Please contact us directly on sue@fmlmusic.com if you are interested in these two higher tiers. Please give us your support. If we can raise the money we need, people will come from all over the world to see this stunning work of art. 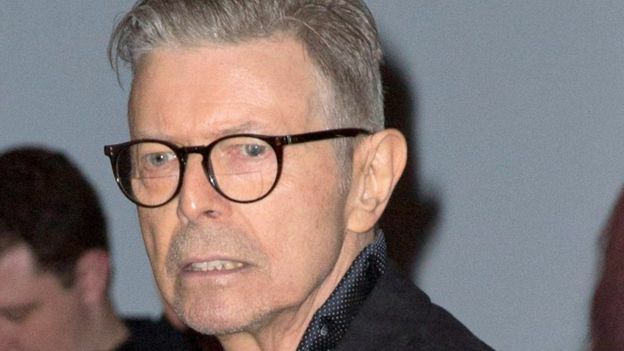 It will almost certainly be the first David Bowie statue in the world. It will give Aylesbury and Aylesbury’s music scene a massive boost, both culturally and economically. Please tell everyone you know to have a look at the campaign and the rewards we are offering. Let’s make this happen! We have all the necessary permissions from all three Aylesbury councils. We see no significant risks and challenges to completing this project provided our Kickstarter goal is reached.